Professor Andrew Hopkins FRSC FSB of Division of Biological Chemistry and Drug Discovery will begin in his new role as Director of SULSA immediately succeeding Professor Mike Tyers, who has taken up a new opportunity at the University of Montreal in Canada. Professor Hopkins is a SULSA Professor at the College of Life Sciences, University of Dundee, where he is Professor of Medicinal Informatics and SULSA Research Professor of Translational Biology. His research in the fields of chemoinformatics, chemogenomics and drug discovery focuses on developing novel informatics and experimental methods to enable new, more effective, ways of conducting drug discovery. Commenting on his appointment, Professor Hopkins says, ‘SULSA represents a research community of more than 11,000 life scientists in Scotland. I’m very privileged to be working with a talented Executive Committee to ensure we develop SULSA’s role in fostering innovation in the Life Sciences in Scotland’. on issues of collaboration and innovation in drug discovery. 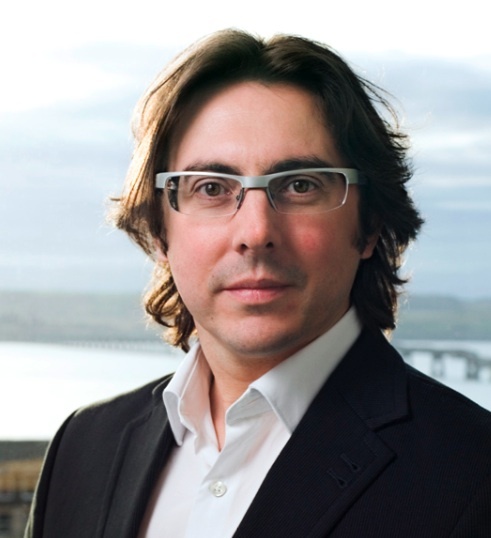 Since joining the Executive, Professor Hopkins has played a lead role within SULSA and will bring his energy, vision and many industry connections to the Directorship of SULSA at this critical juncture for the Scottish Life Sciences. As Director of SULSA, Professor Hopkins will be SULSA’s figurehead and lead its Executive Committee made up of members from six of Scotland’s leading Universities. He will set the strategic direction for SULSA’s scientific, educational and networking activities. ‘I’m very much looking forward to leading SULSA, to ensure Scotland’s scientific excellence and innovation across the life sciences is recognized internationally. I’m keen to see SULSA develop the scientific culture for researchers, through new ways of collaborating and networking, both within Scotland and between Scotland and the global scientific community, ’ says Professor Hopkins. Established in 2007, Scottish Universities Life Sciences Alliance (SULSA) is a research pooling partnership between the Universities of Aberdeen, Dundee, Edinburgh, Glasgow, St Andrews and Strathclyde that is supported by the Scottish Funding Council. SULSA aims to maintain and advance Scotland’s global position in the Life Sciences by recruiting international research leaders and funding world-class research facilities. SULSA also connects researchers across Scotland through events and collaborative PhD studentships. The Scottish Further and Higher Education Funding Council (SFC) is the national, strategic body that is responsible for funding teaching and learning provision, research and other activities in Scotland's 43 colleges and 20 universities and higher education institutions. The SFC distributes approximately £1.5B in funding each year for teaching, research and associated activities in Scotland's colleges and universities. Their research funds are competitively allocated based on the UK-wide research assessment exercise that evaluates all universities across the UK. The SFC also supports knowledge exchange activity across Scotland. The funding provided to SULSA by the SFC explicitly fosters the international competitiveness of research in Scottish universities, and translates these contributions to innovation and high-level skills within Scotland.